Has social media filled a gap where previously it was being filled with music? Michael Spencer Jones é um dos mais interessantes e influentes fotógrafos de rock, responsável por capas dos discos britânicos mais aclamados da década de 1990, em particular nas correntes Britpop e Madchester. O seu interesse pela fotografia nasce da admiração pelo trabalho de Alfred Stieglitz, Angus McBean, Edward Steichen e Paul Outerbridge, encontrando influência directa nas capas de álbuns da pop art de Hipgnosis. Estudou fotografia e filme na Bournemouth & Poole College of Art, e no fim do curso mudou-se para Manchester. Em 1993 reuniu-se com Tony Wilson da Factory Records e fotografou os Happy Mondays e os Stone Roses, entre outras bandas. 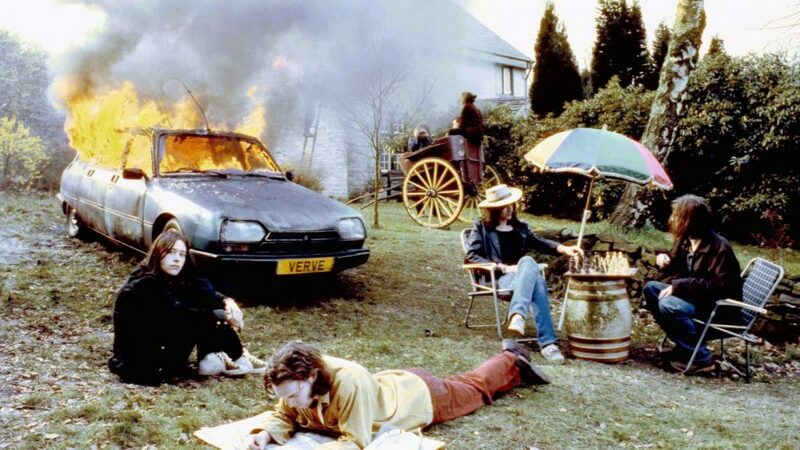 No mesmo ano cruza o caminho dos Oasis, depois de Noel Gallagher ver as suas fotografias nas capas dos The Verve. E assim se inscreveu na História do rock. Produziu fotografias de discos e retratos, trabalhou com publicações como The Times e The Guardian, com editoras como a EMI ou a Parlophone, e inúmeras empresas de gestão e agências de design. Estivemos à conversa com o fotógrafo britânico sobre o seu trabalho. You photographed several influential recording artists, true rock’n’roll stars. What is so fascinating about them for you and fans in general? Is it the overwhelming power they have over us? Well, ask anyone if they had their chance over again, what would they like to have been and many people would say ‘to have been in a band or be a singer’. Recording artists, rock n roll stars, what ever you want to call them, have a certain standing in society (especially the good ones!) I suppose we look up to them. Music is a powerful medium, it helps you through the good times as well as the bad times in life, so these people have genuine meaning in our lives – it’s spiritual outlet in a world where there is very little. Musicians are also fun to hang out with, they have a great perspective on life. When a photographer works with an artist, either on portraits or promotional pictures, what should they look for? What do you try to achieve through your lens? A good question. I just try and represent who they are but in an aesthetic and appealing way. I try and create an intimate connection between the subject and viewer, as if the viewer feels that they are meeting them. You moved to Manchester in the right time, in the early days of Madchester. Does the film “24 hour party people” get any close to what was really happening in the music scene? Manchester in the 90’s was a great place, it felt like revolution through music. I’ve not seen “24 Hour Party People” so I can’t comment on that, but most of those films depicting recent social history are usually off the mark. It’s down to the people and personalities and you can never really re-create that. For example all the Beatles’ films end up representing Lennon as being an abrasive character but that was just one part of him, it’s impossible to replicate the magic or individuality of any historical person on film. It’s like how Beethoven is represented in films as this very serious troubled character who’s constantly writing music and barking at people when in reality he probably had a great sense of humour and was great company to hang out with. How did you get into music photography? Well being in Manchester and hanging out with musicians. My first commission was photographing the Stone Roses at Spike Island, so in a way I was naturally drawn towards it. Do you think we will ever have a movement such as Madchester or Britpop, considering our society’s digital mindset and living? This is the big question – has social media filled a gap where previously it was being filled with music? Was in fact Britpop or Madchester the social media of its day? One thing is for sure if the Beatles were in a room together all on their iPhones –texting, sending selfies and talking sh*t on Twitter they wouldn’t have had time to write the music they wrote. The great contradiction with today’s digital mindset is that it has brought people together but at the same time fragmented everything. I’m not sure if there is any escape from it. It seems to have evoked a primal instinct in us that we can’t let go of. And how does the digital age influence the artwork of the albums? Do you think bands don’t invest that much on this essential part of a record? Well it never really influenced me. It’s much more fun putting a real Rolls Royce in a real swimming pool in real life than it is doing it in Photoshop stuck in an office. I think the need for bands to create images for their records is greater than ever in this digital world. I had a music fan complaining that he has all this music on his computer but no visual reference for it; bands need to invest more in their artwork for sure. As Marshall Mcluhan once said – “The medium is the message”. On your website, you highlight your work for Oasis. How did this partnership start? 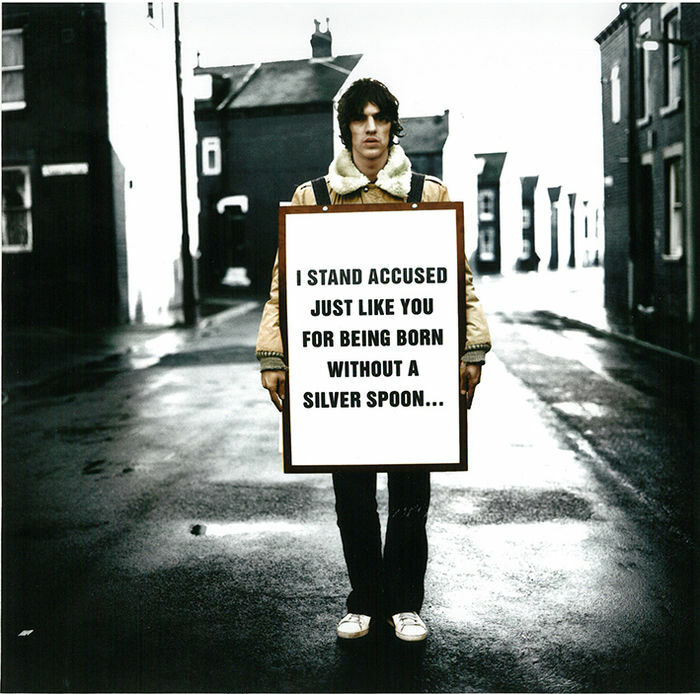 It happened through my work with The Verve. Noel had seen my photographs on the early Verve covers and so that’s how I got the job. The relationship developed from there. What is your inspiration when you photograph an album cover? I hold a copy of Urban Hymns that I bought when it was released: what message did you wish to get across to me? Well the Urban Hymns cover was very simple. I just really wanted to focus on the band – who the individuals were that were making this great music. It’s very much my ‘Rubber Soul’ cover. In fact I was speaking with someone about it recently and they thought the word ‘Love’ was spelled out in the trees in the background – but the ‘V’ shape you can see in the trees was just coincidental. People have read a lot into my album covers that was not there…but that’s ok. Some artists say that they always have a small detail imprinted on their work. Do you have any signature of yours? Not really but I do drop subtle references occasionally. You recently photographed children of war for the Imperial War Museum in Manchester. How was it to get involved on such a different project? I photographed some young children who survived the Podujevo massacre in Kosovo. It was a real departure from what I had normally done. They were just very simple portraits taken after they had recovered from their injuries but there was a real resonance that came through in the portraits, which I suppose is what being a photographer is all about. You are both the message and the messenger. De Setembro a Novembro 2017 está patente na Ap’Arte Galeria no Porto uma mostra do seu trabalho, fotografias em grande formato das suas aclamadas capas e alguns out-takes. “Rocktopia” é uma mostra obrigatória para fãs e coleccionadores, que poderão até juntar ao seu acervo o trabalho de Michael Spencer Jones. Steve Albini: "Só estares em palco a tocar a tua guitarra é algo excitante e razão mais que suficiente para o continuar a fazer." Elías Merino e Tadej Droljc: "Synspecies está em exposição até ao final do festival, no primeiro andar do Theatro Circo."